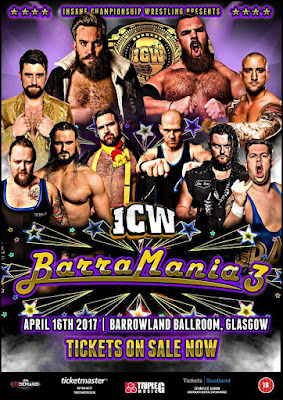 During the weekend of April 14th - 16th, three promotions held huge events, Fight Club: Pro hosted the three day Dream Tag Team Invitational in Wolverhampton, Manchester and London, Insane Championship Wrestling held Barramania III in Glasgow and Over the Top Wrestling presented ScapperMania 3 in Dublin. Now why have I highlighted these events from the others? Each one of those events drew crowds of over 2000 fans, each, and that isn’t including the fans who tuned in to watch the shows on their preferred streaming service. Seriously collectively that's 6,000 people, think about that, that's amazing right? And it shows the incredible popularity that wrestling, British wrestling, has with the fans nowadays. I haven’t even mentioned the sold out Rev Pro show that happened on April 13th or the other shows by 3 Count Wrestling, House of Pain Wrestling, Pro Wrestling 4U and Absolute Wrestling that still drew good numbers over that weekend. Could you imagine that happening a few years ago? Nah, me neither. How has this happened? Now, some may say, its down to the imports coming across, The Elite and many others arriving. Sure that is indeed a factor, A factor. But many times before in British Wrestling we have seen big names booked, big names arrive, the show a sell out, and directly afterwards not one person talking about how good that show was, they may have only mentioned that import wrestler but that’s all. Well, this weekend that wasn’t the case, social media was a buzz of fans talking about all the shows and more importantly fans talking about every wrestler on it and even the production involved in making each one of those shows a success. Now like I said, imports are one thing, but to have fans talk about the whole show, that's a different thing altogether. That takes time, months, perhaps years to reach that level, and to have homegrown wrestlers trained, developed and connect with the fans to such a level that they have their own fan base, again that takes time. But it looks like that time is finally occurring. 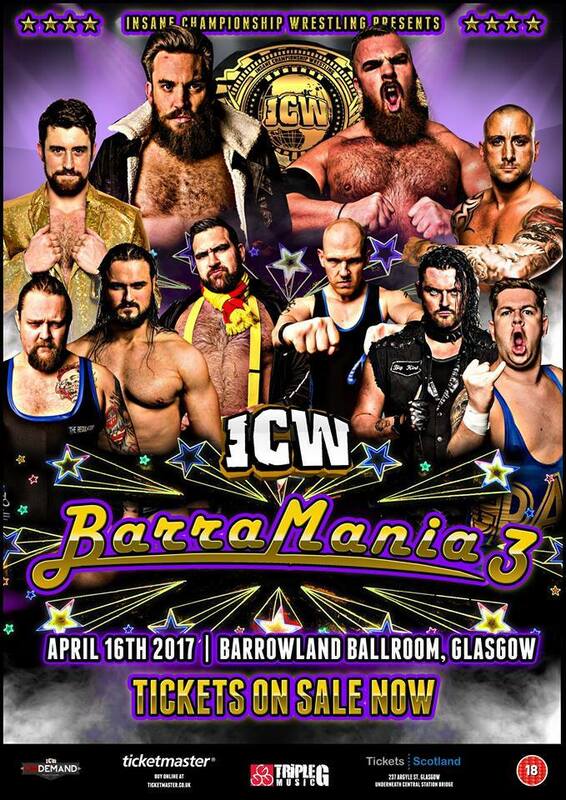 The UK and Irish Wrestling scene has finally reached a level after years of building that could act as the modern golden age, after all, WWE, NJPW, ROH and IMPACT are all casting their eyes on the talent that have been entertaining the fans for years and wrestling promotions are drawing record numbers across the country, that's a great thing. That is down to the training schools, the promotions and the hard work of each wrestler involved in progressing their own work rate to excel better at what they do. One thing that should be said though is that while this is happening what about the future? Wrestling promotions can’t stop now, they need to make sure they have plans in place to keep this momentum going, that they have an influx of wrestlers ready to be pushed into the public eye and ready to seize the fans attention at a moments notice, because that one way they can keep this going. Case in point, don’t surround the hype of your show based around one big name import, how many times have fans seen a superstar name pull out from a booking or been forced to cancel on a show at the last minute and then fans go, they want a refund because there isn’t anyone that promotion hasn’t invested time or effort on demonstrating on why the public should see them. Why sacrifice a lot of money on a one show pay off if you can invest that money on training, vignettes, time and effort in showcasing new talent, that way in the future, that new wrestler you have helped develop, will draw more money over a longer time. Sure it’s slower, but the dividends will be greater, financially and more so to the fans. It is disappointing to me that we still see short term gains overshadow long term prospects. Also, if you are booking a big name import, have them face your biggest star, showcase your own talent and book them strong, it casts awful memories of the dark days in UK Wrestling when fans would see big names arrive and destroy a companies wrestler. I'm just saying, if you have invested months on building a star in your own promotion only for that star to be an afterthought in a match why should the fans pay money to come back to watch an afterthought, it makes no sense. The fans demand and deserve better and so do the wrestlers themselves. Personally, I feel wrestling is changing, the fans are demanding more from promotions, they don’t just ask for good wrestling or entertainment, they now demand excitement and interaction. If they are paying the hard earned cash that they work for, and promotions are charging extra to cater for more imports, you better be giving those fans more than ever before. Fans will go away pissed off if they don’t get that interaction or excitement and hell mend you if you don’t give them that, thanks to social media, it takes less than a minute for someone to bad mouth a promotion and that status or tweet to gain traction and afterwards, other fans will see it and possibly lose interest. Welcome to wrestling in the new golden age, with high rewards comes greater risk and if you’re a promoter, plan ahead, and get ready for story lines as well as financial spreadsheets to have short, medium and long term plans because, I say this only as a fan, with over 100 promotions in the UK and Ireland, the competition has never been bigger and expectations have never been higher.